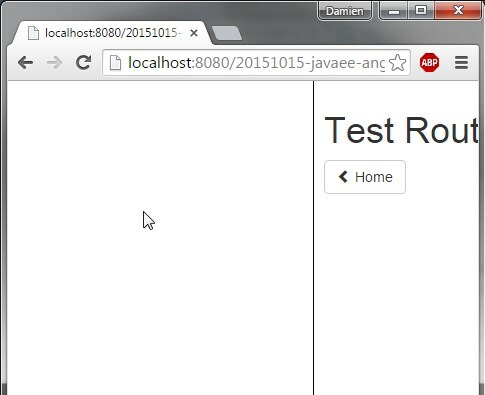 A simple example about navigation inside a web application, using native AngularJS components. 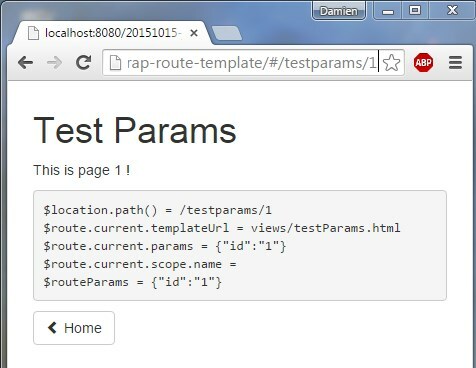 Using Templates provides a more reusable View and less duplicate code. 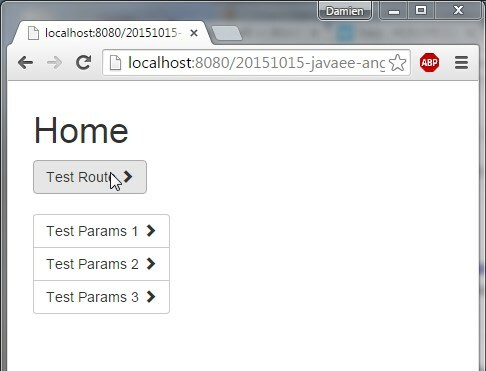 Using Route provide a better decoupling between View and Controller. Using Redirection inside Controller allows View to not contains compelx logic, but only datas and states. Using Animation to Enhance User Experience with more transitions. 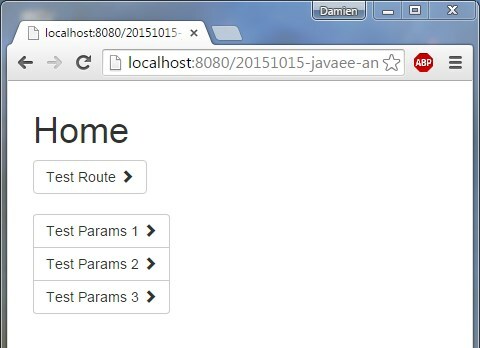 By using AngularJs’ rout, location and animation components. 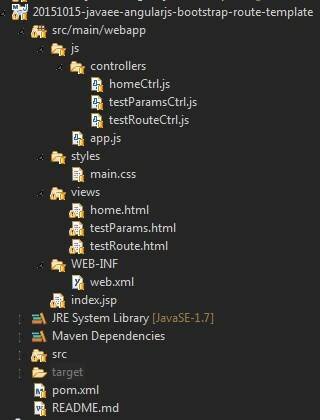 App file contains the main router for app’s paths, providding a View/Controller assocation for each route. Controller contains redirection, triggered by a View click event. A route can be parameterized, like in API’s path. CSS is linked to view-animate AngularJs’ class. 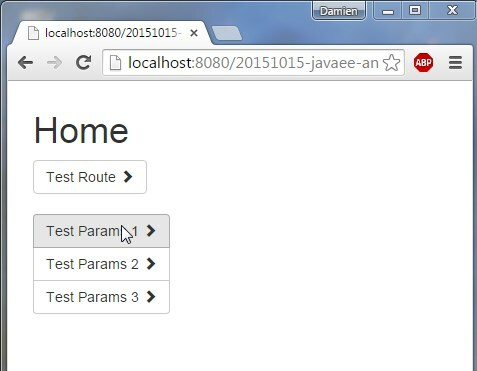 Here is home View (home.html + homeCtr.js) rendered inside the main Template (index.jsp). Here is animation when Viewchanges (from home Viewto testroute View). Here is route of Test Route View. 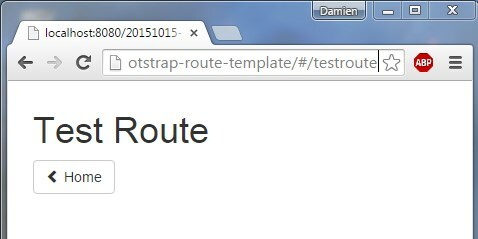 The Route is ‘/testroute’. 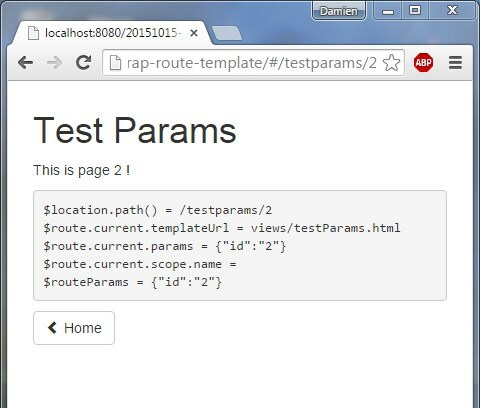 Here is routeParams for Test Params View. Never put a raw url in your html for the sake of maintenability. It’s controllers’ job!